1ink.com’s remanufactured HP Color LaserJet CP2025dn toner is just what you’ve been looking for. This toner cartridge is easy to install and gives you the same performance and product specs as an original equipment manufacturer (OEM) cartridge, allowing you to get professional-quality results for less! Each cartridge is inspected and tested to ensure the quality of your print work and the performance of our products. You’ll get huge savings off the retail price of OEM HP 304A toner cartridges, and yet you’ll still get the same results every time you print! 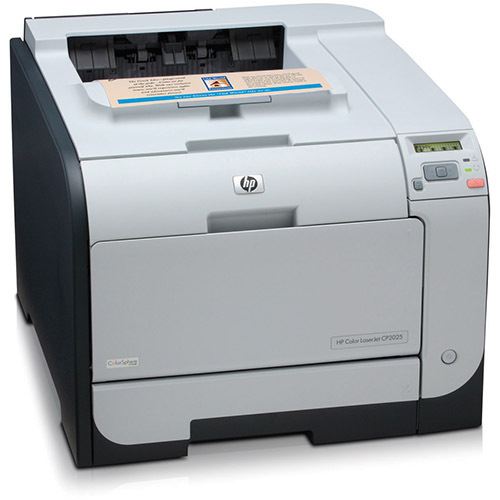 Your HP Color LaserJet CP2025dn printer is designed to tackle the toughest projects. It works hard to deliver a consistent performance, giving you an impressive print speed of up to 21 pages per minute. You want the best work from your printer, but paying OEM prices will quickly drain your budget. Take advantage of 1ink.com’s sale on HP toner cartridges and you’ll see that our remanufactured toner cartridges really do give you a satisfactory performance compared to the OEM version! Find the cartridges you need below and you’ll never have to pay OEM costs again!